Come explore what you’re done with. Create new scenarios of possibility. Tap the group’s feedback and support. And get luscious time in Colorado’s golden aspens to feed your soul. Fall has a way of stirring newness. A sense of possibilities. Liveliness in the air and a burst of color in the Colorado landscape. 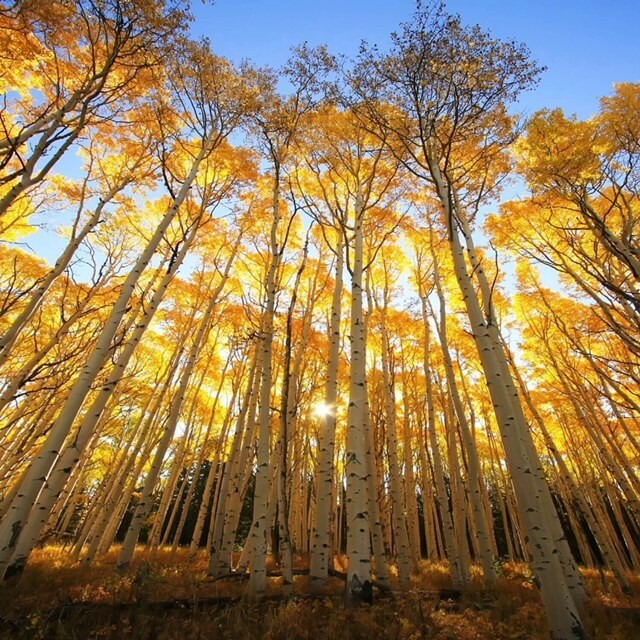 The aspen trees stand tall and strong, as do we. And at the same time, they’re connected deeply at the roots. They grow in community, as do we — feeding from the same source of life and better able to weather strong winds because of it. What better place than the gorgeous Colorado Rockies to take stock of your ”wild and precious life” and invest in exploring what’s calling you next? We’ll have it all: wooded mountain paths to walk, a comfortable cabin to accommodate our women’s circle each day, just the right rustic touch of Chautauqua’s world-famous campus, and breathtaking views of the Colorado flatirons from our meeting space. Most of all, you will be surrounded by an amazing group of women who have stepped up to the plate to actively consider the next phase of their calling. Our days will be filled with reflection exercises, purposeful activities to guide your visioning including a proprietary scenario-building process, and opportunities for guided conversation and feedback from the group. We’ll take time in the literal and figurative wilderness for you to welcome your intuition and inner knowing about what lies ahead to benefit your life. And all this wrapped in an autumn wonderland of Colorado’s stunning yellow, red, and gold trees! Amid our focused work will be scrumptious food on the veranda of the famous Chautauqua Dining Hall. You’ll get inspiration from like-minded women pioneers, and expert support from two Retreat leaders whose backgrounds are steeped in the terrain of personal transition. Invigorating trail hikes through the breathtaking natural landscape, and solo time to journal or create art are threaded throughout our days. Fall is a perfect time to address the crossroads of your life — from where you’ve been to where you want to go. 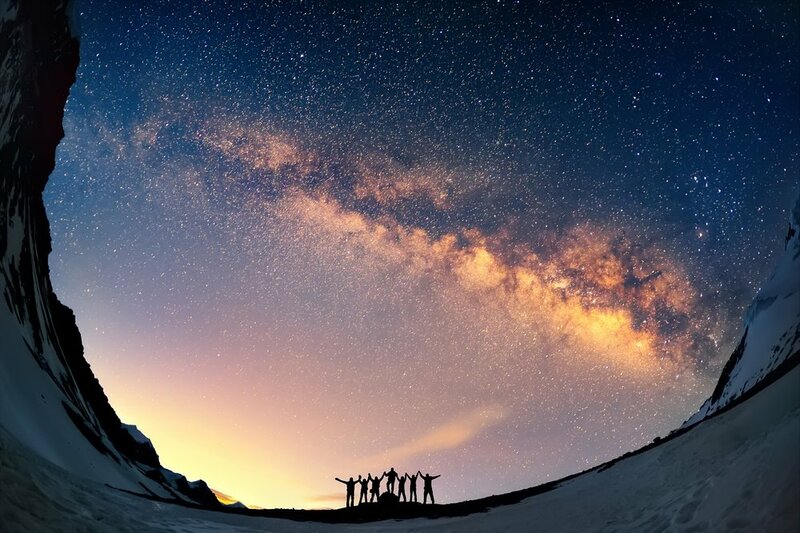 As Retreat leaders, we will encourage you to celebrate your lifework so far, identify the unique gifts that are yours to enact, and explore the big “what now?” question about the next phase of your adventure. Join us. Savor rare, un-rushed time to lay down new tracks for what’s beckoning you forward. You and women everywhere deserve such — for yourself and your life. Do you long to connect with other women who are contemplating deep questions about this stage of life and eager to break the mold and create new possibilities? On this retreat, you’ll share and learn from other women— outstanding contributors from many walks of life who have played a role in our evolving world and feel the call to courage and change. Those who attend are in some way recognizing how needed we are to live fully and represent new models of leadership and love. Would you benefit from expert guidance and support as you anticipate, move through, or begin planning a significant career or life transition? We provide a structured and supportive container for you and the group to explore this exciting time of change and renewal. We help each woman identify the endings she may be ready to declare, and explore new possibilities without pushing them into creation. We love using best practices for this careful process – balancing support and encouragement with feedback and challenge. Do you welcome the idea of having space to reflect, unhurried by the usual demands of the day? Is it rare for you to take totally undistracted time to work on YOU and YOUR LiFE? You’ll have 4 days of all the support, quiet reflection, comfort, and conversation you’ll need at Chautauqua. With open blue skies, spacious surroundings, nutritious meals and fresh outdoor exercise, we’ll provide the perfect environment for you to slow down, refuel, and discover your vibrant, authentic self and the life you’re being called to lead next. DURING THIS RETREAT, YOU WILL . . .
* Experience 4 unforgettable days in the stunning Rocky Mountains with a courageous, inspiring group of wise & wonderful women. * Trace the career/life-line you’ve had to date, identifying key highs, lows, and learnings that will help you create the next desired phase of your life — and avoid pitfalls and outgrown patterns. * Create several “scenarios of possibility” you’re called to explore that uniquely reflect you. * Take home a specific plan you’ve composed that will help you enact next steps. This will be as specific or general as you want it to be. Our process allows each woman to customize how you will move forward in a way that is best for you. It may be basking in the scenarios you’ve composed. It may be how you will research your possibilities further. Or you may want to develop a specific business plan for something you want to launch. There are no “shoulds” – just experienced facilitation toward what is right for YOU. * Join a monthly follow-up group for this Retreat circle of women to keep you motivated and inspired over the next 12 months. lightened by letting go of what you don’t want anymore, clear about what you do want, and uplifted by the support of our circle of women. You will have in hand the vision and plan you created for the next step of your wondrous life journey. The attractive university town of Boulder, Colorado provides the gorgeous aspen-filled mountain backdrop for our inner explorations. On arrival, you’ll quickly see why it’s been dubbed one of the most livable cities in the U.S. Locals have a mad crush on the outdoors, healthy lifestyles abound, and adventure is available at every turn. Rushing through town is pristine Boulder Creek and myriad hiking trails lead into the foothills in almost every direction. For more local adventure, you can explore the city itself, including downtown’s charming Pearl Street Mall, where you’ll find a wide variety of great shops, eateries and brew pubs. The rustically elegant hub for our retreat is the world-famous Chautauqua Institute Historic Landmark Park, the gateway to Boulder’s magnificent slab of open space adjoining the iconic Flatirons. Here, you get stunning mountain views and starry skies, wide-open spaces and charming updated cabins and meeting facilities. Best of all, we have a large homey and luxurious cabin all to ourselves for our daytime sessions, and equally-charming sleeping cabins on the surrounding streets with views of the Rockies. 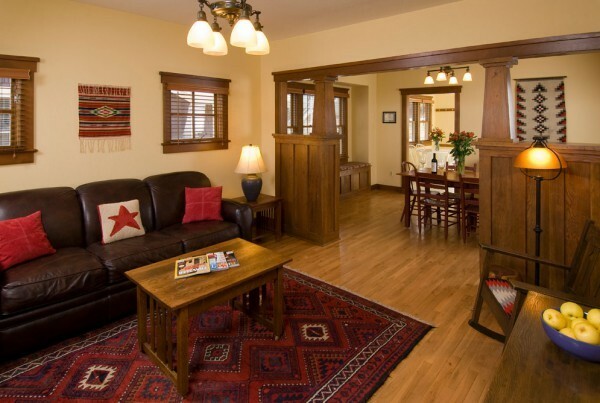 Our Retreat space includes spacious living room, a large group dining room, comfy couches, a stocked private kitchen, and cozy nap room with a view of the flatirons and the world-famous open space meadow with Boulder’s favorite trails. Further spoiled with our own large screened-in porch sporting comfortable furniture and eating space, a side private picnic deck, and private areas for phone calls or quiet journaling. Just out the cabin’s front door are Chautauqua’s grounds and many renovated, rustic cabins — among them, cabins and rooms available to Retreat participants — plus acres of woods and open grounds. And out the back door we can access hiking trails that lead up to the famous Flatirons whenever the group spirit moves. Breakfast is provided every day in your charming cabin for you to enjoy in whatever fashion you wish: leisurely with coffee and a newspaper; hot and nutritious or light and full of protein. Lunch will be specially catered for our Retreat group each day. We’ll be serving a variety of delicious options to satisfy every palette and every food category including vegetarian and vegan options and gluten-free cuisine. Since our midday meals will be delivered right to our Retreat meeting space, you will have the option of joining a rousing group conversation, taking your plate onto the screened porch for some quiet time, or eating outside at our own private picnic table. Our Welcome and Gathering night will be a private dinner in our meeting cabin. For one last evening together, we’ll venture into town to enjoy one of Boulder’s delightful eateries. And in between, we get the benefit of Chautauqua’s famous historic Dining Hall, a Boulder tradition since 1898. In the latter you can choose from delicious, savory meals prepared by one of Boulder’s best-loved chefs. There are spectacular views from the dining hall’s wraparound porch which we’ll enjoy while feasting on fresh, Colorado bistro cuisine. 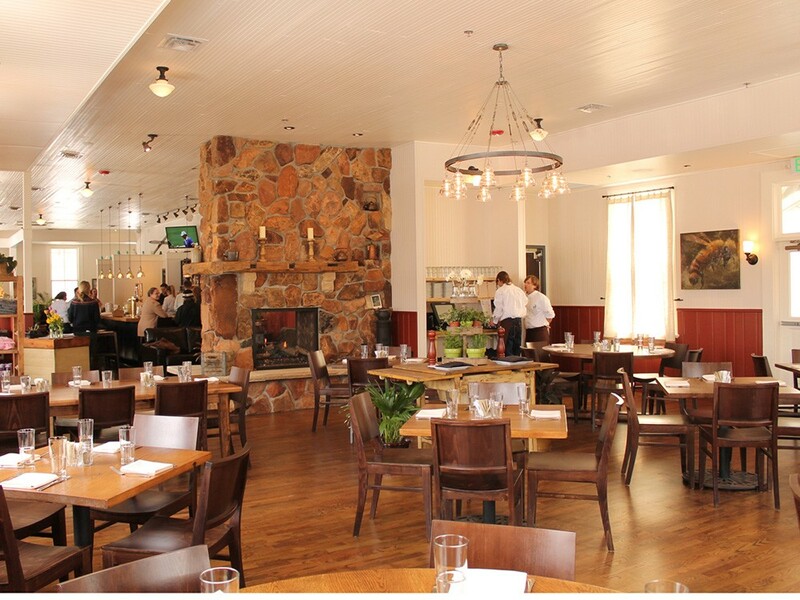 Run by Three Leaf Farms in Lafayette, Colorado, the dining hall uses local and organic ingredients, with vegetarian, vegan and gluten-free options available. Our dinners in the dining hall are off-the-menu, allowing you to customize to your palette and preferences. You’ll find just about anything you can imagine on the menu: savory winter soups, salads, burgers, sandwiches and several-course meals. Chicken Broccolini Salad with pickled beets and onions, anyone? How about a Bistro Bison Burger seasoned with creamy brie and caramelized onions? Or maybe a savory plate of Vegetarian Scallops, with king trumpet mushrooms, risotto and lemon brown butter? The Dining Hall also has a full bar with local beers and great wines to complement your meal. Our Retreat will begin before you board the plane. First, you’ll have a private phone meeting with Sue or Barbara to clarify what you most want from your Retreat time, particular needs and requests you have, and how you’d most like us to support you during our 4 days. 7pm After you check in to your charming sleeping cabin, complete with full kitchen and living area, we will gather at Idlywild Cabin — our meeting cabin for the week. We’ll enjoy a nutritious catered dinner in our private dining room. Relax and enjoy the group as Sue and Barbara orient you to the famous Chautauqua setting; provide an overview of our 4 days, 5 nights; share our backgrounds and hopes for this Retreat, and warmly welcome you. Following dinner, we’ll adjourn to the living room where you and your fellow Retreat attendees will introduce yourselves and share what drew you to this Retreat. We’ll set some norms to affirm trust and reciprocity throughout the week, and end our first gathering with a blessing and a look at tomorrow’s day. 9pm we adjourn to allow Retreat travelers plenty of rest, trusting you will have a good, sound sleep in your waiting cabin, stocked with tea, snacks, and a variety of breakfast foods for tomorrow. Breakfast from your pre-stocked cabin kitchen will prepare you for our day together beginning at 9am. 9:00am Sue and Barbara will offer a beginning poem for the day and a review of our 4-day Retreat time. Today will focus on an engaging Work and Life Review — our proprietary and decidedly feminine approach that invites you to look back over the last year on highs, lows, and learnings. 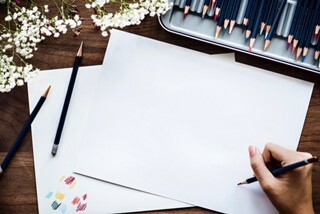 You will have your own customized way of tracking your reflections with this process, continuing through the week: via your journal, a sketch pad, a mind-mapping on-linear system, or via “storyboarding” which we will introduce as an option. 9:30am Solo time will be spent during part of the morning in preparation for the Look-Back Review you will share with our circle. Sue and Barbara will facilitate questions to elicit your observations about components of your life/work that bring you joy and freedom, things you are done with, and gifts/characteristics that begin to fill in a profile of your unique self and native essence. 10:15am You and our circle of women will gather and begin rounds of each sharing key Look-Back highlights from your last year. You may invite supportive observations and appreciative feedback from fellow Retreaters to help you see what others see in you! Sue and Barbara will also mirror back what stands out about your irreplaceable being and contribution to the world. The aim is to begin building awareness toward what you want to take forward into the next phase of your life, and what you may want to jettison. Notes will be captured of the group’s appreciative input for you to keep as part of your storyboarding or tracking process! Lunch is catered at 12noon. You might choose to gather around the shared table for connection and stories, or take your nutritious meal onto the screened porch or outdoor picnic table for quiet reflection. We always encourage a walk in the aspens, through the meadow, or along the foothills before re-joining for the afternoon session! 1:30pm Our circle will reconvene and continue each woman’s Look-Back Review. Barbara will share insights and coaching from her years of working with women to identify their unique gifts, often under-appreciated and sometimes unnamed — until now. 3:30pm Break time! Either a walk or an improvisational theatre exercise outdoors will shake us up and shake off any seriousness! As wise women, we have learned the importance of physical movement and laughter during times of important life work! Continuing our Look-Back Reviews, we’ll share some healthy snacks as we listen, engage, and lean in to each others’ stories and reflections about life lessons and their import for moving forward. 5:00pm With conscious closure to this important Day 1, we’ll appreciate each others’ sharing and shift gears for some downtime before dinner. Thank you for showing up, being present, being fully who you are, and inviting others to do the same. You might choose to go walking, running, do a little yoga, journal, or take a nap!! 6:15pm Dinner tonight is off-the-menu in the famous Chautauqua Dining Hall. The award-winning chef will deliver whatever might suit your palette and mood tonight as we grab our shared table by the roaring fire. After a provided breakfast in your charming sleeping cabin with fellow Retreat participants, you will amble through the campus on a short walk to our main meeting cabin. You might choose a brisk walk first on one of Chautauqua’s many trails before we convene! 8:30am We’ll begin Day 2 with a powerful exercise in gratitude, stretching our hearts and then taking 15 minutes to do some welcome body stretches, too. Sue and Barbara will invite a round of check-in comments about yesterday’s powerful Look-Back exercise. 9:00am Today, Sue will introduce her proprietary process of Scenario Building — a process few of us have ever engaged with the kind of encouragement and guidance you will receive today! We will begin the process with a series of questions to help clear the way for you to begin engaging the future you want, free of any assumptions or barriers that might prevent your broadest thinking. After 20 minutes solo time to answer these starter questions in your journal, we’ll share in a round robin each woman’s responses without comment. Next, the proprietary Scenario Building process will be introduced — an invitation to take imaginary leaps into 2-4 scenarios you would like to name, describe, and envision with your full attention. Solo time of 90-120 minutes will be provided for you to sink into this powerful time of addressing your life, uninterrupted and without opinions or judgments from others. 10:45am We will gather as a group and begin focused time each woman will receive to rehearse her Scenarios. Each woman will have a segment of time today or tomorrow to share her Scenarios fully and without interruption. Feedback and support from the group, and experienced facilitation and encouragement from Barbara and Sue, make this an incredibly powerful highlight of the Retreat. You will likely gain insight and guidance you did not expect, helping you hone your deepest wants for the next phase of your life. 12noon Catered lunch at our Idlywild Meeting cabin with an invitation to take a social break with others or work quietly on your Scenarios while enjoying an expertly prepared hot lunch. You are encouraged to take a short walk before we reconvene. 1:00pm Our circle will continue powerful Scenario Sharing time, with each woman receiving generous listening and feedback from the circle of like-minded women and from your two Retreat leaders. Again, notes will be taken on your behalf when observations and support are provided to you. 3:30pm Break time! Ever hear of zip-zap-zop? Trust us, you’ll love this outdoor shake-it-up under the golden aspen trees! 4:15pm Reconvene to hear one more Retreat member’s Scenarios. 5:00pm Barbara and Sue host a closing circle for the day. What did you hear that was unexpected? What patterns emerged, if any, that were similar among the Scenarios shared by our circle members? What does it mean about us as women at this moment in time? What’s stirring in you about your wild and precious life? 6:15pm Dinner at the Chautauqua Dining Hall and a warm welcome to our Special Guest! We’re thrilled to introduce an evening Movement and Yoga Salon! 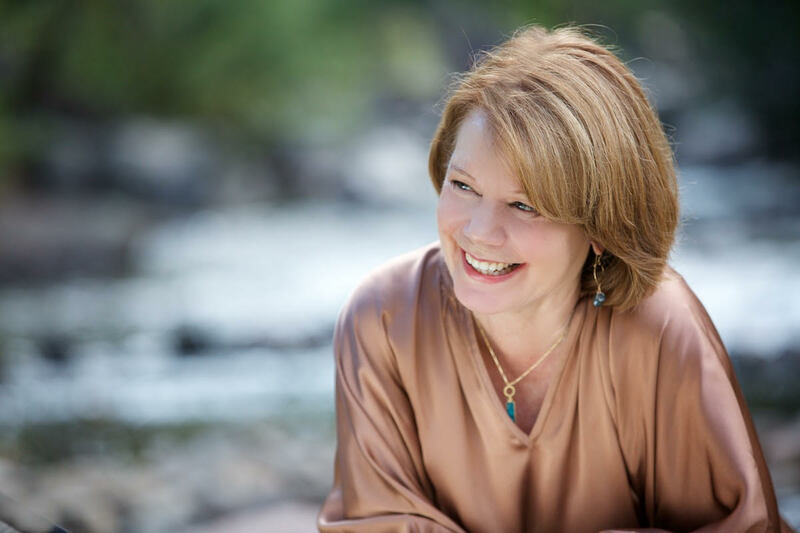 A well-loved Boulder yoga and movement instructor — also one of the 100 women included in Sue’s book Manifesta of Active Wisdom from 100 Women Over 50: A Call to Further Becoming, will join us for dinner and prepare us for the Salon she will be leading. 7:30 Yoga and Movement Salon includes gentle guidance from our special guest to move, bend, stretch, and take loving care of ourselves in whatever ways feel good this evening. Our special guest will teach a suite of movements that we will employ tomorrow and Thursday and that you will take home as new practices to Tend to the Vessel With Love (as Sue’s book puts it)! 9pm Adjourn for a night of peace and good rest. 8:30am After breakfast at your cabin, we will gather for a check-in circle and opening poem. We will take time to express what the standout observations and insights were from yesterday, including our time in the Movement and Yoga Salon last night. 9:15am Today continues the rich intensity of our Scenario Building process, leaning in to each woman’s ample time to share her imaginative leaps into several possible scenes she may want to compose for the next phase of her life. 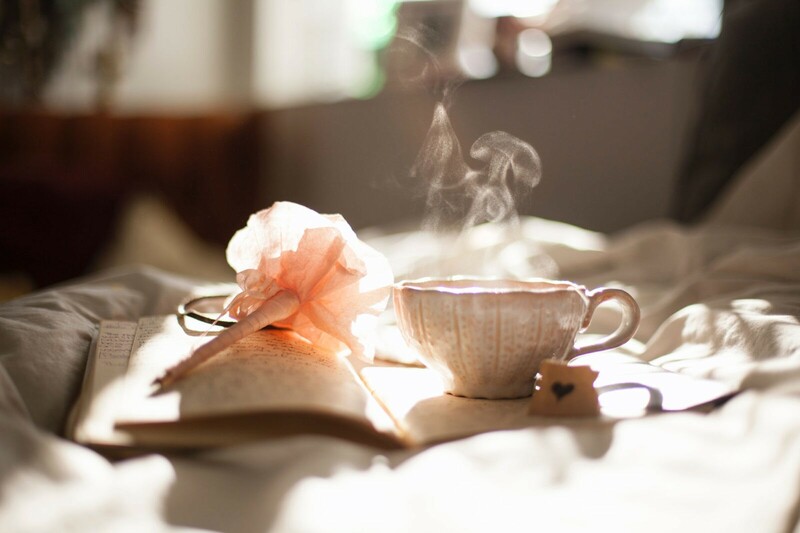 If today is your turn, you will receive uninterrupted attention and deep listening from our circle of women, with questions from Sue and Barbara to elicit your further visioning. As part of today’s journey, Barbara will again lead the group in a process of noticing and capturing your gifts and native essence. Part of the richness of being in a tribe or circle like the one offered at this Retreat is to receive the mirroring and witnessing of other women about what stands out as the distinctness of you. 11:00am Zip zap zop! Our moving break to shake up our energy and experience the fresh air and beauty will be right outside our doors at the foot of the Rocky Mountains! 11:20am We continue until lunchtime with another woman’s Scenario sharing. What a gift to hear each others’ life wishes and learn how each of us thinks as women with wisdom, experience, and deep intuition. You will track whatever learning and insights you have for yourself with your individualized journal, sketch pad, mind-mapping system, or personal storyboard! 12:15-2:00pm Today we combine a nutritious catered lunch which is available to take with you on the mountain trail, and a paired walk with another Retreat member. The paired walk includes questions to reflect on, germane to the path you’re composing for the next phase of your life. We encouraged unpressured check-ins with yourself about what’s gently calling you and what you may recognize you are done with. 2:00-5:00pm We will complete the round of Scenario sharing and feedback. This is intense and powerful work for you and for the group, so a celebration is in order! 5:00pm Sue and Barbara will raise a toast to each of you for three days (and counting) of listening and leaning in to your lives. Bravo! 5:30-7:30pm You are encouraged to take the next few hours for whatever feels delicious! A nap? Solo sunset walk? Quiet dinner ordered from the Dining Hall? Laughter around the Dining Hall table as you order off-the-menu? Or call-out for pizza? 7-10pm An on-site massage (pre-arranged and paid for separately) is available this evening for a few women. Sue and Barbara are also available for 30 minute coaching conversations pre-arranged. Breakfast foods are provided once again in your shared cabin’s kitchen — which by now feels like home! You might want a walk through the aspen groves or up into the foothills this morning — or you may want to join with other women in practicing some of the Yoga and Movement exercises shared by our special guest earlier this week. 9:00am Opening blessing and poem, followed by a circle check-in will be invited today. You may have unexpected insights and plans to consider today after the Scenario Building process you experienced! 9:15-10:30am Today is a day you will be invited to converge on your next steps. This can be as broad or specific as you want your plan to be. Some women flesh out details they want to pursue about launching a new business, building a website, finding a mentor to explore something they have always wanted to do, or purchasing paints and a starter set of canvasses to launch the artistic calling they can finally respond to. Other women find the need to carve out spacious time in their lives to not “do” but spend time “being” — perhaps welcoming spiritual study or taking more time for exercise and time in nature. Some women write a Personal Manifesta. (We’ll guide you on how to do this.) 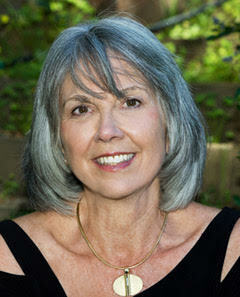 Sue and Barbara will offer a simple elegant structure for you and our circle of Retreaters to compose your path ahead. Solo time will be given to work on this using your personal journal, sketch pad, or storyboard. 10:30-12:00am You will present the plan that feels just right for you to our circle of women. This is also the plan you will use for our group monthly check-in over the next twelve months with the group for support, challenge, encouragement, and cheering! Saying it out loud allows you to make changes as you speak it, and also invites greater self-commitment and accountability. Sue and Barbara will ask orienting questions to help strengthen your thought process and expectations of yourself. 12noon A hot catered lunch will once again be provided. Today we will take just 45 minutes for lunch to ensure each woman has time to share her go-forward plans this afternoon. 12:45-2:00 Our circle of women will complete the round of hearing each participant’s moving-forward plans. 2:30pm How about a group trail hike to breathe in the Colorado mountain air, enjoy the spacious autumn breezes, take a long look at the Rocky Mountains, and feel the richness of our days together? 3:30pm Final group circle. One of the riches and rarities of a Retreat like this is gaining from the wisdom and hard-earned savvy of other women who have lived full lives, are full of zest, and have a desire to contribute and to forge a joyous next phase. Our final circle will gather the collective insights we have gained. What did we hear from each other that seems common among us as women? What happened that we did not expect? What did you learn about yourself? What gifts are you now convinced are a native part of you — that you heard reflected back to you over and over these 4 days? What does it mean going forward? Included in the closing circle is a review of our monthly support calls for one year, beginning one month after this Retreat. 4:30pm Sue and Barbara will invite our group into one final exercise. You will work on it solo, then share it with the group. You will then receive a round of brief feedback from each woman and your Retreat leaders about what we appreciate about you. 6:30pm Celebratory Dinner out on the Boulder town!! We will eat, laugh, enjoy, and raise a glass to each other and our wonderful lives, further composed this week for the next phase of joy, adventure, and satisfaction! 9:00pm Sleep well. Check-out in the morning is anytime until 10am. We send you off with love! Looking back on 30 years of conscious business consulting, I’m humbled to have fallen in love with clients all over the globe. But even more important is the clarity I’ve gained since 2015. My calling has always been about listening to the lives other others and helping them create new possibilities. For three decades now, I’ve listened and “possibilitized” as a leadership development facilitator, teacher and coach. My career path began taking a different turn at 55 as more women my age seemed to be looking for new inspiration and direction and coming to me for coaching during this transition. At a retreat I attended ten years ago, I caught a clear glimpse of what Love might lead me to create in the future. At that retreat as I did the exercises alongside all the women in attendance, I realized that this was what I most wanted someday: to host retreats and help midwife women into their own discoveries about what they truly want. Fast forward to when my work began a natural shift to working with women over 50. Having worked through my own passage from a successful career to something new and deeply fulfilling, I’ve loved witnessing the changes and breakthroughs many other women are making as they discover all that is possible in Adulthood II. I launched research to interview 100 women between 50-70+ in 2016. From it, I’ve discovered 9 wise and wonderful principles about navigating life at this stage. My quest is to bring their voices into the world in a book filled with their words and insights — a blueprint for all of us as we “continue becoming” and following our highest callings. I’m thrilled to rededicate my lifework to supporting you and courageous women everywhere who want to chart purposeful and fulfilling paths well beyond their 50s. I hope something on this page inspires you to join us in Colorado to discover what you want for the year ahead — and beyond. There’s nothing I would enjoy more than sitting in the crisp fall Colorado air with the group that’s forming as Barbara and I create a warm, welcoming space where you can reflect, reorient, and re-purpose your life. As an undergraduate certain only that I was to get a degree (thank you Mom! ), I discovered my passion for humans’ potential for change. This passion has been my guiding force and I am honored to have facilitated change in individuals and organizations my entire career. My journey began in earnest with graduate studies in counseling psychology. Convinced that psychology was the discipline that offered the most robust framework for human development, I completed various degrees and certifications, settling into a fulfilling career as a psychotherapist, working primarily with women. 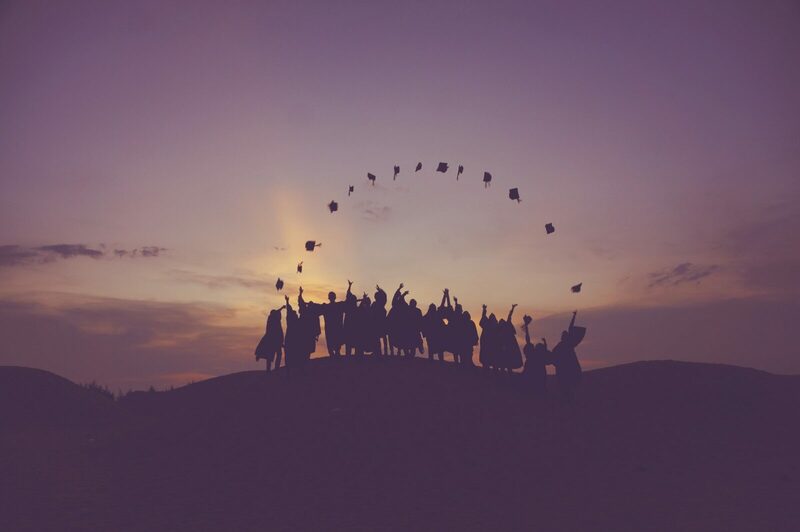 I balanced my love of working with individuals with my love of teaching by offering consulting services to private and not for profit organizations committed to creating growth-enhancing work environments. Despite being a facilitator of change, I thought my life was set. How wrong I was! A close friend once described me as the person least likely to embark on the spiritual path. At that time, I agreed. So, my spiritual awakening came as a complete surprise. I was driving home from work on a sunny spring day, the top down on my convertible, enjoying the wind in my hair. Suddenly I felt a shift. My sense of individuality slipped away, and I felt connected to everything around me. I pulled over and as I sat reveling in the deep sense of connection, I heard a voice telling me I was a spiritual being having a human experience. I learned later that those words were from Teilhard de Chardin, a Jesuit priest and mystic, but to my knowledge I’d never heard them before. As is often the case when awakening knocks on one’s door, I was completely disoriented. Somewhere deep inside, I knew that embracing whatever was happening would change my life forever and so it did. It is said that when one opens to the deeper reality of life, help always appears. Help appeared for me in in the form of amazing teachers in both the Eastern and Western spiritual traditions. Learning the “other half” of the change equation opened up a whole new world. After 10 years of study and practice, I found I that I no longer fit in my chosen career or the life I had fashioned around it. Change has a ripple effect, causing many of us to resist it mightily. And resist I did! Eventually I surrendered. Leaving my marriage, therapy practice, family and friends, I returned to school to complete a degree in theology and certification in spiritual direction. Since finishing graduate school at 53, I have been engaged in the integration of my two passions: spiritual and psychological development. Together these two paths offer a complete framework that I use with my clients to discover who they really are and the gifts they have to offer the world. Guiding others these last 16 years to discover their essence has been my joy-filled purpose. While our essence is the same, how that essence shows up in each of us is exquisitely individual. This recognition allows us to fully embody our gifts while appreciating rather than envying others. And what we each can contribute once we recognize who we really are is nothing short of miraculous. I am honored to team up with Sue for this powerful retreat and look forward to sitting in front of the fire, celebrating how essence is showing up in each of us and discovering where we go from here. Author William Bridges calls the territory between “what has been” and “what’s to be” the wilderness. For many of us, the wilderness of a life transition can feel unsettling and disorienting, but it holds tremendous wisdom and gifts when we’re willing to slow down, listen and consciously plan the path ahead. It also helps to have a guide! Human nature often causes us to make an “end run” around the Wilderness period, but the cost of doing that can be high. This retreat celebrates the transition we, as women over 50, are traversing in our individual lives — which is also a time of evolutionary change for the role of women in the world. What better place than the wilderness of Colorado to safely explore this transition period — complete with camaraderie, tools, expert guidance and a map! I encourage you to give yourself this time to let go of what’s coming to an end and let come the new beginning, whatever you may want it to be for the stretch of road ahead. How needed we all are to be who we uniquely are and do what is uniquely ours to do! One-on-one pre-retreat call with Sue and Barbara to review your Retreat goals. Arrival and scrumptious welcome dinner at our private Chautauqua lodge! Personal storyboard for you to capture your life visions and plans. 4 days of facilitated group time for you to taps the wisdom, experience, and intuition of our circle of women. Proprietary Look-Back and Vision-Forward exercises to capture where you’ve been, what you’re ready to leave behind, and the exciting scenario-possibilities you want to explore. Personal notes captured for/about you during rounds of feedback and input about your life planning ideas. Proprietary Personal Scenario Building Process – one of the most powerful parts of this Retreat that will open up possibilities you may not have yet imagined or given yourself opportunity to expand. Solo time to journal, get a massage, walk in the aspen groves and breathe the fresh Colorado air! Instruction from an experienced teacher for our evening Yoga and Movement Salon. 5 nights charming sleeping accommodations in a shared cabin with 2-4 other Retreat participants – complete with a full kitchen, cozy living room, and front porch looking out on the world-famous Chautauqua grounds. Shared rooms with PRIVATE ROOMS GUARANTEED FOR FIRST FOUR SIGN-UPS! Breakfast provided in help yourself style every day in your kitchen: hot and cold protein options, fruit, coffee, tea. Healthy catered lunch each day including with a range of choices for our vegan, vegetarian, and gluten free participants. Option to order and arrange delivery to your cabin of any special dietary requirements/wishes you may have. Celebratory dinner in dazzling downtown Boulder on night 5!! Daily access to the foothills of the Rocky Mountains and its abundant hiking trails — right outside our back door! Physical, personal, and spiritual practices to take home. A proprietary guide to writing your Personal Manifesta to take home. One year of monthly group coaching by Sue and Barbara exclusively for this Retreat group! Dinners on Mon, Tues, and Wed nights. You may choose to have dinner at Chautauqua Dining Hall, order in to your cabin, or take advantage of the stocked refrigerator in your cabin in order to enjoy quiet time or a solo hike before the evening sessions. Optional massage. This may be pre-scheduled for your enjoyment on our 3rd night. Why give yourself the gift of this 2019 Fall Women’s Retreat? Because no one can caretake your life and your future better than you. Because no one can hear your inner voice more clearly than you. Because no one knows what you are done with more profoundly than you. Because the opportunity is rare to be in specially-created space with other women, expressly to celebrate the life you’ve lived so far, harvest its lessons, and make room for your deserving and rich road ahead! This retreat will accommodate a maximum of eight women (plus two Retreat leaders). We purposefully keep an intimate number to enable deep engagement with each woman’s life planning process. You’re encouraged to claim your spot early! Questions? We’re happy to chat. Click here to schedule an exploratory call with Sue. “The retreat provided a wonderfully safe process to guide me to some inner thoughts that I actually suppressed under the weight of my working life…. I’m involved in whole new work endeavors now, with new partners and a fabulous chamber choir that’s the caliber I find immensely fulfilling! I am deeply indebted to you for supporting me through the journey to this place. We all have a purpose. I’d love to help you reinvigorate yours. To schedule a free 30 minute exploratory call with Sue, click here.